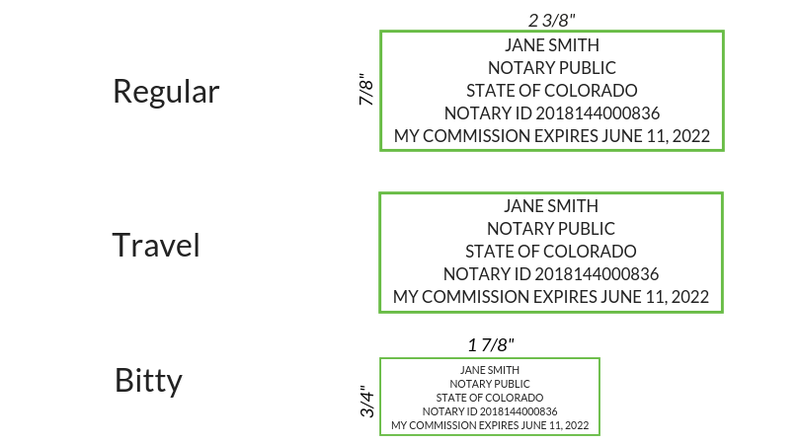 Notary journals (digital or paper) are required under Colorado law. 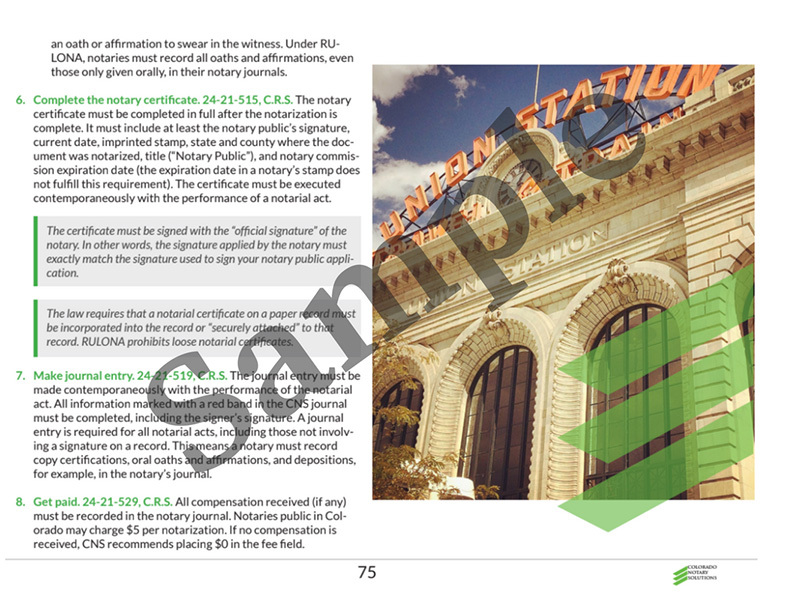 The CNS Journal and Primer is the only publication made specifically for Colorado notaries. It contains “required” entry fields marked with a red asterix and a primer covering notary public fundamentals. Our notary stamps are an exact replica of the sample that appears on the secretary of state's website. Our self inking stamps will last through the duration of your notary commission or we'll replace it for free. 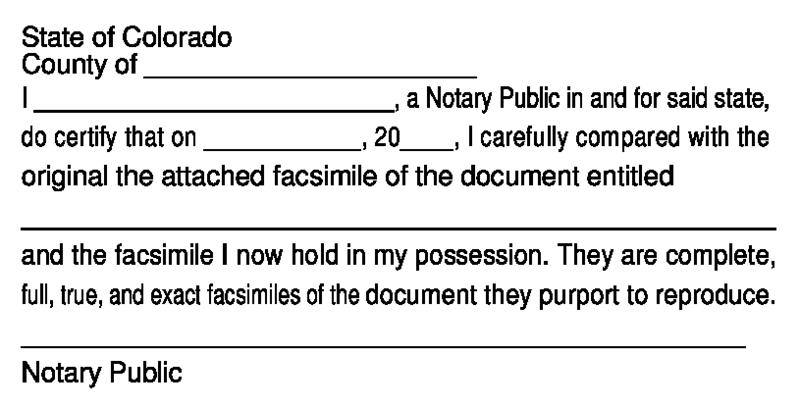 A notary stamp is required under Colorado law. The CNS travel stamp is uber convenient. It fits easily in your purse or pocket. If your office does a lot of affirmations, this ink stamp makes it easy to add the Colorado required affirmation language. View a sample stamp imprint. If your office does acknowledgements, this ink stamp makes it easy to add the Colorado required acknowledgment language. When doing copy certifications, the required language is never found on the copy. 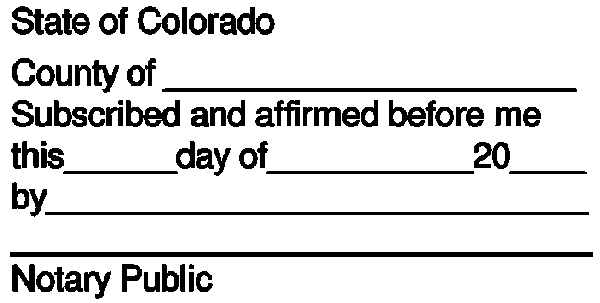 This ink stamp provides the Colorado statutory statement that must be placed on the copied document. A surety bond is a financial guarantee that a person who loses money because of a notary’s misconduct or fraud will be reimbursed up to the bond’s limit. Unlike errors and omissions insurance, the claim amount must be repaid to the surety company. About 1/4 smaller than our traditional stamps, Bitty stamps are great for documents that don't leave a lot of room for the notary stamp. View a stamp imprint comparison. E & O insurance safeguards you against costly and time-consuming lawsuits. Even if the basis of the suit is without merit, you could still face a costly legal bill for defending yourself. E & O is designed to protect the notary from negligent acts that expose her to liability.